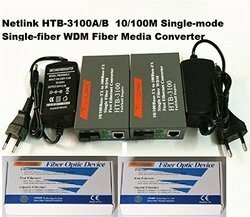 Manufacturer of a wide range of products which include media converters 100mbps, 10/100mbps media converter, media converter, fiber media convertor single mode 20km and fiber media converter sm dual 10100 sc. 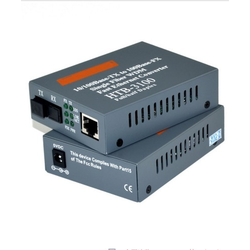 Bidirectional 10/100M adaptive Ethernet fiber optic transceivers , using the latest U.S. KENDIN chip, high -quality single-fiber bidirectional optical transceiver module ( brand new manufacturers ) , stable performance and excellent quality. 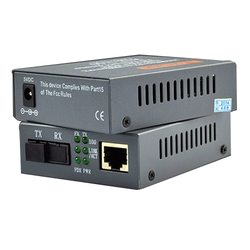 For telecommunications , broadcasting, broadband fiber optic network data traffic and the need to improve performance, high-reliability network environment. Brand-New, High Quality, 5 years quality guarantee! 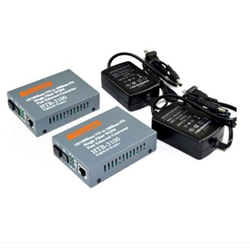 There are six LED indicators : Power, TX 100, TX Link / Act, FX 100, FX Link / Act, FDX / Col; easy to monitor the working status of the transceiver and determine the cause of the fault. 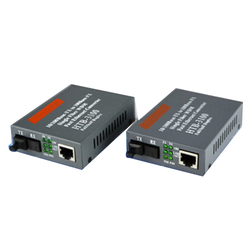 Looking for Media Converters ?